I went though a bit of a cleanse a couple of months ago and sold quite a few pieces. The thought then was, as it has been in the past, to slim things down to just one nice watch. The result? Perhaps no surprise to anyone here, but I didn't reach one watch nirvana...again. At any rate, I did get some stuff I've had before, but also a couple new ones that I'm really impressed with. My Speedy pro is gone (I know, I know) and the 'driving watch' is now this little beauty. My first silver dial watch, in all these years of being a WIS, and I love it. 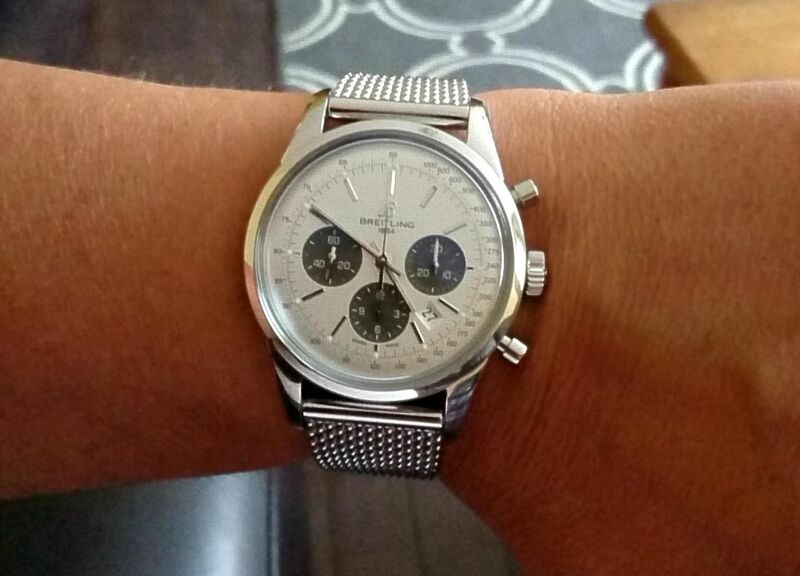 Breitling Transocean chronograph. 43mm case and just 14.3mm thickness... Fits me just right. 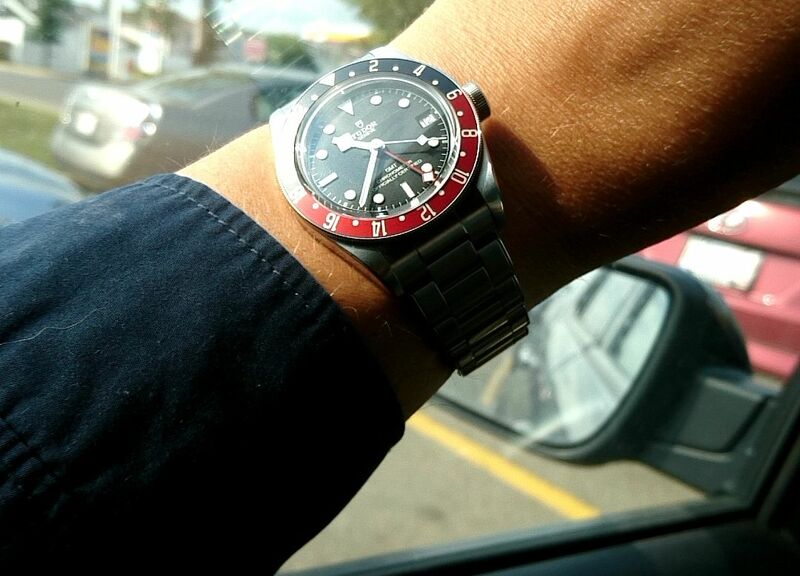 When I first saw one of these Tudor GMTs at the dealer, it was on the strap, and I liked it, but didn't love it. On the bracelet, however, I couldn't resist. I can't believe how accurate this thing has been too. In some light, the bezel appears more Coke than Pepsi. Great features for me, as I travel between timezones for work, and nothing out there that competes in this price range. 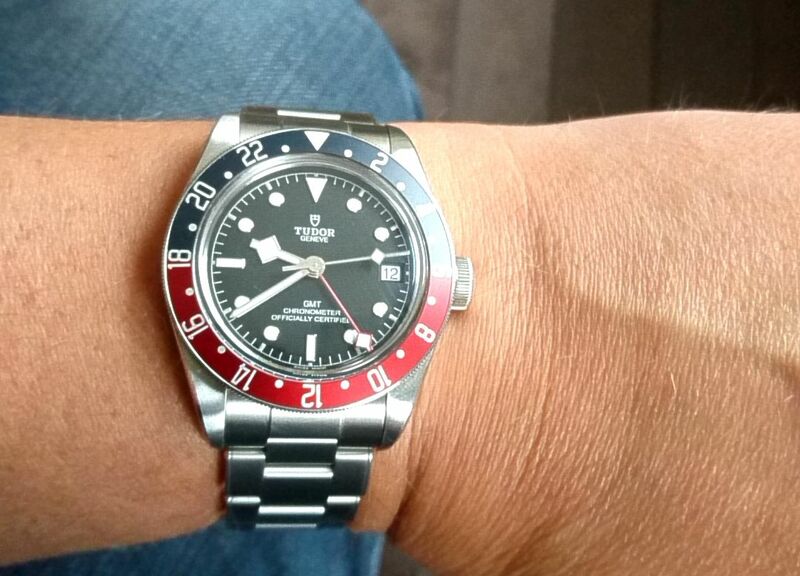 So far, that Tudor has hogged just about all the wrist time since I got it. I really dig this watch. Oh wow!! Great pick ups there!! Live pics of the Tudor are so much better than the stock images I'm used to seeing. The attention to detail on this watch is absolutely amazing!! Strikes the perfect balance between tool watch and refined. 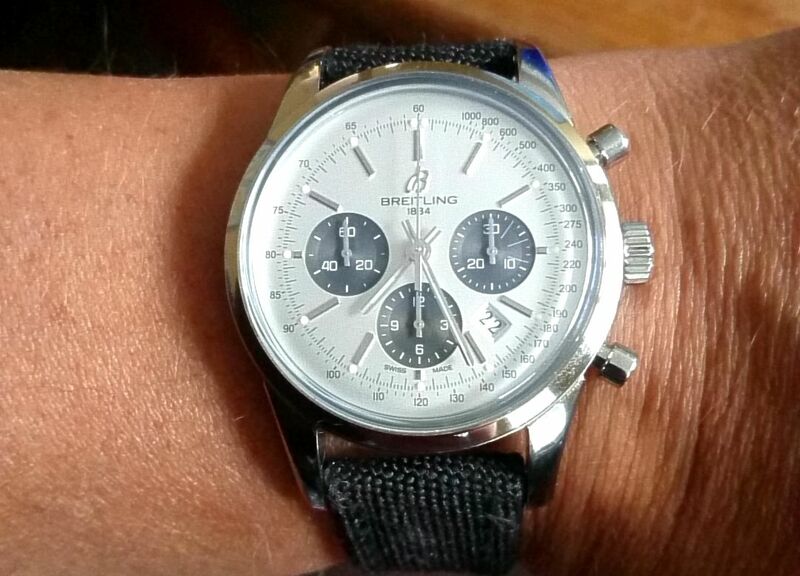 Not familiar with the Breitling but it is a beautiful watch. Congratulations!! Congrats, JP! You're wearing my next grail, the Tudor. I think you've found out just what I love about the Black Bay series. 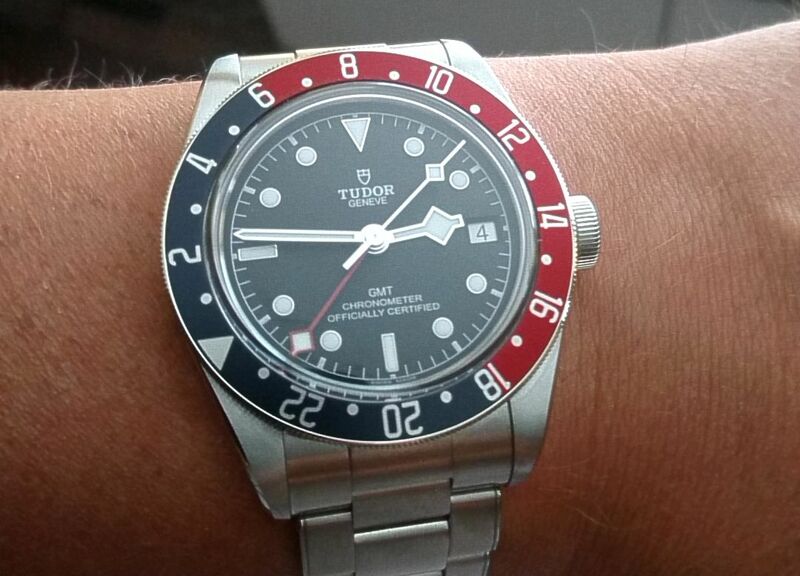 I am the exact opposite on the Tudor GMT - I really like the looks of that on a nice strap, like maybe a NATO, rather than the bracelet. Though I love the oyster bracelet, sometimes the blandness of stainless gets to me. Two lovely pieces, I can't imagine you'll get bored with these for quite some time. Congrats on both. 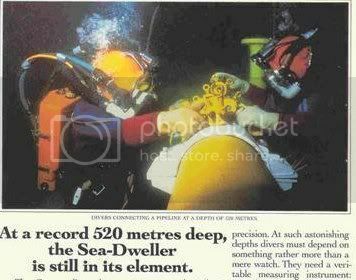 I really like the Transocean. I actually saw someone wearing one a couple weeks ago and asked what it was. I had gotten so used to Breitling being bright and shiny and crowded the simplicity was a shock. The color and design just work... like one of those perfect watches from the 60's with modern size. Congrats! Those are beauties for sure. I love the Breitling - perfect size too. The Tudor is damned nice too - great additions.